Baby's First Year Memory Book is perfect to capture all of BABY'S FIRST MOMENTS. Your sweet new baby boy deserves his very own book created just for him. Your baby boy's initials are printed on the front cover of his book. His name and the information from his birth announcement (birth date, time, length, weight) is printed on the back cover. 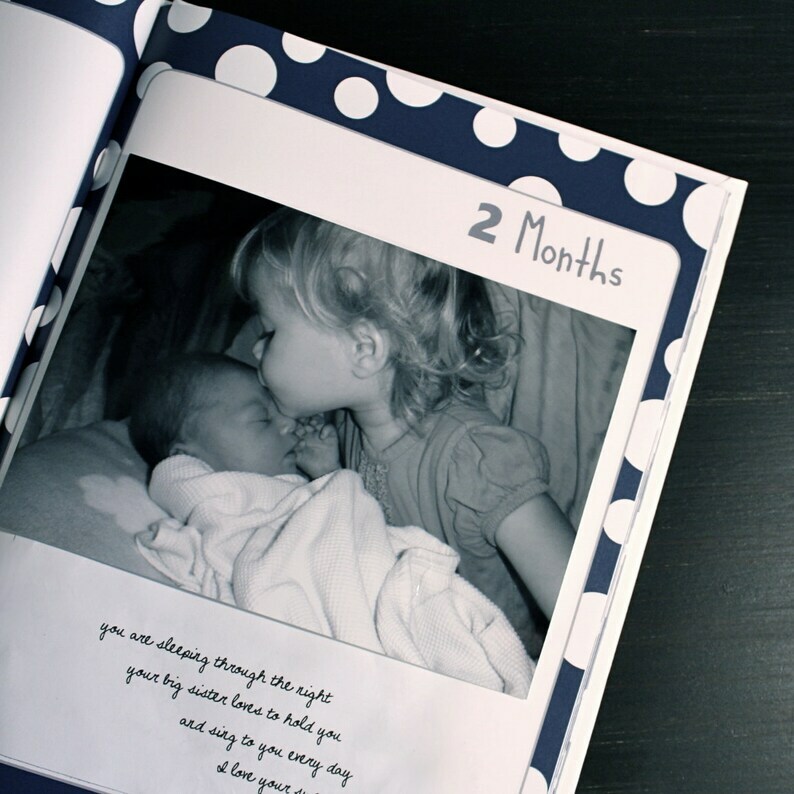 Your completed, custom book is ready for you to attach photos and add those special memories as he grows. He will have his very own, special book to treasure forever! Pages include a title and space for your photos and journaling. I received it and I love it!! Thank you so much!!! Exactly what we expected. Love it!! I ordered this for my daughter and she loved it!! Turned out great!! Item received. This makes a good book to capture each birthday. Thank you! This is the perfect gift for our daughter to begin her senior year. Credit cards, PayPal, and Etsy gift cards are accepted.